If you are in a particularly strong reception area you may find you only need a standard aerial to serve your property or for poor or problematic areas you may need a high gain aerial, this may be on a standard mast or a tall steel mast for strength to overcome reception obstructions. Our engineers will always carry out a site survey prior to quoting for your aerial works to ensure you get the right equipment to give you trouble free viewing. What is included in our typical digital TV installation? Satellite TV - No Monthly Fee! 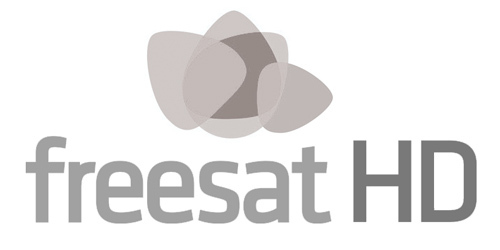 Freesat - subscription free satellite TV service, no monthly cost. 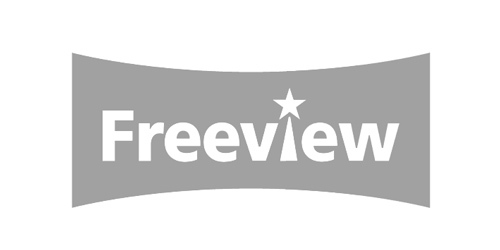 If you've already got a dish on your property, it couldn't be easier to switch to Freesat. We supply and fit a Freesat box and off you go. This will give you access to TV & Catch Up services. Then sit back relax and enjoy over 200 TV & Radio channels, without any monthly fee. We fit sky dishes for all your sky needs, we specialize in discreet installs, we have a specialist at heights team for those places you’ve been told the dish can’t go. We also specialize in fiberglass rust free dishes and larger dishes for those who want to supply multiple points. A home cinema system can range froma 32” TV and a sound bar to an automated projector with a 5.1 wireless surround system. We cover all aspects of home cinema to suit your wants and needs including the Sonos range. Sonos is a smart speaker system that streams all your favourite music to any room whether that be 1 room or every room! Control your music all on their simple app and fill your home with pure high quality sound. We install all aspects of Sonos whether it be something simple like the play1 in a room of your choice or a selection of the play1, play3, play5 around the home or if you’re going for fitted speakers they do the connect amp which allows us to separate your rooms into zones and use speakers of your choice. Sonos have their own home cinema range which is like no other. You can start with just the Playbar which is outstanding quality on its own or add the sub for added bass, by adding two more speakers to the rear you can complete the full Sonos 5.1 wireless surround system. MATV systems that distribute a digital terrestrial television signal only. IRS systems that distribute digital terrestrial signal as well as a satellite signals. Fibre optic is cable consisting of one or more thin flexible fibres with a glass core through which light signals can be sent with very little loss of strength, otherwise known as optical cable. Our engineers specialize in fibre IRS installation, for example one satellite dish and one aerial supplying 300 properties all down virtually fibre cable with no lose of signal which can either be then converted back to conventional copper or ran all the way to the property providing the same service as if each property was to have its own dish and aerial! Fibre can also be fitted on a single property giving you the benefits of the tidiness and super strong signal. IRS systems using conventional coax are still very effective and still widely used. As with fibre we can supply multiple properties or a single property. Giving you the benefit of having multiple points in a single property. What is FM & DAB? It’s simply an enhanced way of listening to radio – sound quality is on another level and a lot more benefits. DAB digital radio allows you to listen to national commercial station, BBC national stations as well as a full range of local stations. Still enjoy your old analogue favorites as well as brand new stations specially created for DAB. However you wish to listen to your music you will enjoy a varied assortment of music from classic rock, the latest chart hits; decades’ hits and much much more. CCTV systems for domestic properties and small businesses are becoming increasingly popular, giving you the added protection of live viewing, remote viewing, and archived footage of your home and vehicles parked outside. Our domestic systems use the very best technologies in both cameras and recording equipment, to give you a high quality CCTV system that will work for you, and last many years. All our external cameras will work in zero light levels, ensuring you never loose coverage. Below is an example of the type of equipment that you can connect together to create your system, a free site survey is available on request, contact us now for more details. CCTV systems for domestic properties and small businesses are becoming increasingly popular, giving you the added protection of live viewing, remote viewing for smart phones and tablets, and archived footage of your home and vehicles parked outside. We can offer anything from a 1tb DVR to a 32tb NVR with extensive camera options including discreet and hidden cameras to suit your property and needs, we don’t just fit our systems we offer excellent setup and aftercare to cover all your security in times of need.